This immaculate one-level Fountainbrooke home comes with everything todayes buyer demands, including a much-desired lot at the end of a cul de sac. 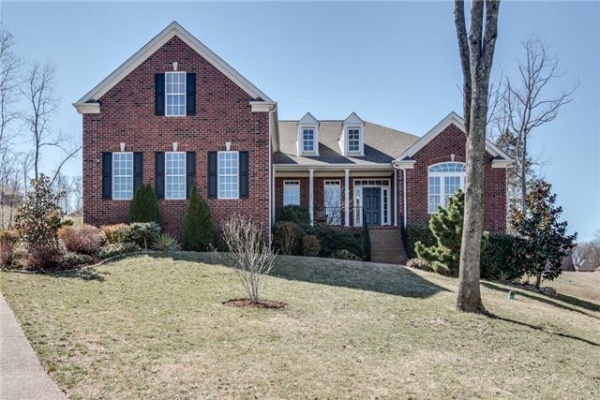 With 3,097-square feet on the main floor, plus the 773-square foot finished bonus over the three-car garage, the inviting all-brick home at 1606 Hillwood Court lives large. and a cathedral ceiling and large picture windows that add to its feeling of spaciousness. The space can also be used as a formal living or music room. The great room features a vaulted ceiling and fireplace perfect for family gatherings and entertaining, which youell likely do often given the space flows directly into the large, functional kitchen that is separated from the family room with a granite-topped bar with room for plenty of stools. Need a lot of cabinets? This kitchen has them, along with a spacious pantry. Double stainless ovens and a gas range, along with granite countertops and plenty of light leave nothing to the imagination. Want more? Just beyond the kitchen is a sunny morning room thates a great spot to enjoy that cup of coffee and begin your day. The master suite has its own private sitting room, a trey ceiling and master bath with a deep soaking tub, separate shower and an oversize vanity with his-and-her sinks. Two additional main-level bedrooms are separated by a spacious full bath. Both have large closets. Beautiful hardwoods are found throughout the entire main floor as well as the upstairs bonus room that is huge and can easily accommodate transition into a fourth bedroom plus bonus space if needed. Its uses are limitless playroom, media room, workout room or all three. Therees room to be creative here. Built in 2007, this home shows like new and sits on a beautifully landscaped half-acre lot. It is zoned for Sunset elementary and middle schools and Ravenwood High School. For more information or to arrange a showing, contact Dee Russell with Realty Trust Residential, 615-376-4500 or 615-207-4585.